On Tuesday morning, the Democrats launched an independent group called Battleground Texas, which is capable of making the Lone Star state a battleground by 2016 and a lean-Democrat state by 2024, effectively breaking the back of the national GOP and blocking a Republican path to the White House.Yes — that Texas: The state that has not elected a single statewide Democratic official in 10 years, with Republicans going 100-0; the state that has had an entirely Republican government since 2002, with current super majorities in the legislature; and the state that hasn’t voted for a Democratic president since Jimmy Carter in 1976. Sound far-fetched? It isn’t. And although that timeline is going to be difficult for the Democrats, they have the right path — and the right people — to pull this coup off in three steps. But first, some background. Today, Hispanics make up 41 per cent of Texas’ citizenry, while whites made up 43 per cent. The white electorate’s plurality, however, will not last — because the Hispanic population’s birth rates are higher, the Hispanic population is still growing through immigration, and the Hispanic population is younger (with a large population not yet at voting age). If legal Hispanic immigration stays consistent with 2000-2010 levels, Texas could be a plurality Hispanic state by 2017, and a majority Hispanic state by 2036. Both parties know that Hispanics are not a monolithic group, and they are not all Democrats. Though nationally they lean toward the Democrats (67 per cent in 2008, 71 per cent in 2012), in Texas, Democrats hold less sway (63 in 2008, and unknown in 2012 because there weren’t any exit polls). But the Dems are very capable of messing with Texas through three steps. And that’s just what they’re fixing to do, starting with voter registration. While there are about 9.5 million Hispanics in Texas, compared with 11.5 million whites, Hispanics only accounted for about 20 per cent of the Texans who voted in 2008 and 2010. One of the two reasons? Voter registration. In 2008, Hispanics made up 54 per cent of Texas’ registered voting electorate, while whites and blacks held even at 74 per cent. And in 2010, Hispanics were registered at just 53 per cent, while whites and blacks were at 67 and 62 per cent, respectively. 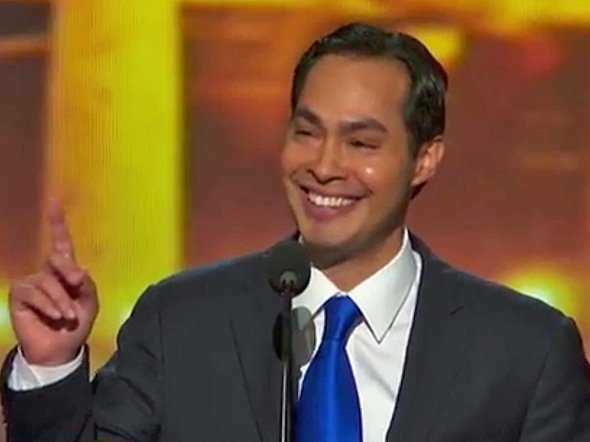 Over all, Texas is home to 1.5 million unregistered Hispanic-Americans, 500,000 unregistered African-Americans and 200,000 unregistered Asian-Americans — all populations the Democrats intend to target. But the fight to win a voter doesn’t end with voter registration — the next step is voter participation. A party can register all the people it wants, but if they don’t show up on Election Day, it doesn’t make a difference. Hispanics lag behind in this aspect, too: In 2008, 70 per cent of registered Hispanic voters turned out, while whites and blacks were tied at 88 per cent. In 2010, only 43 per cent of Hispanics turned out, compared with 65 per cent of registered whites and 62 per cent of registered blacks. In 2008, 35 per cent of Texan Hispanics voted for the GOP. No exit polls were taken in Texas in 2012, but the national Hispanic GOP vote was only 27 per cent — four points lower than the national Hispanic GOP vote in 2008. So, going off of limited data, and giving the GOP the benefit of the doubt, the Democrats would need to swing Texan Hispanic voters their way by between four and eight points. And while Republicans like Mr. Norquist and Texas Gov. Rick Perry say that the Democrat’s goal is a pipe dream because of the Texas GOP’s differences from the national GOP, they would be well served by studying the case of former Massachusetts Sen. Scott Brown, who, despite a roundly liberal record on abortion and other social issues, was painted as part of a national, socially conservative machine by 2012 Democrats. Then-candidate Elizabeth Warren didn’t focus attacks on Mr. Brown for his quotes regarding abortion, for example — she instead ran ads attacking former Missouri Rep. Todd Akin’s quotes on abortion. In the next Texas election, Texas Republicans should not expect to be spared attack ads highlighting Arizona Gov. Jan Brewer’s harsher immigration policies. By making races national when convenient, both parties have discovered a winning strategy — and one that can overwhelm a single state’s party apparatus. In his early 30s, Mr. Bird is a current and future star of the Democratic Party’s awesomely effective campaign machine. As Mr. Obama’s field director, he revolutionised the effectiveness of the traditional field model, registering, among a great many others, 361,000 left-leaning voters in Florida, 156,000 left-leaning voters in Colorado and 96,000 left-leaning voters in Nevada. Not bad, considering Mr. Obama’s candidacy was no longer an historic first. Over his three presidential campaigns, Mr. Bird has been responsible for millions of door knocks and tens of millions of phone calls that didn’t simply target Democrats — they targeted Republican and undecided Americans that Mr. Obama’s data operation knew were likely to respond favourably. But even if Democrats don’t make the strides they plan to make as fast as they hope to make them, they can be sure that the Republican Party will be forced to fight back against their efforts. And that fight will cost the GOP crucial resources. Losing Texas to the Democrats would be difficult — if not impossible — for the modern Republican Party to surpass. Although the Reagan coalition, and its short-lived continuation in President George H.W. Bush’s first campaign, was capable of winning without Texas, the 2000 and 2004 wins by President George W. Bush — the only Republican presidential wins of the last two decades — would have been impossible without the Lone Star state. “We learned in Ohio and across the country that grassroots organising, grounded in real data, builds movements that win,” Battleground Texas Executive Director Jenn Brown said during a Tuesday conference call introducing Battleground Texas to the media. Texas is a big state, and the Democrats want to play too. If the Republicans want to maintain any realistic path to the White House, they need to understand that Texas isn’t big enough for the two of them.